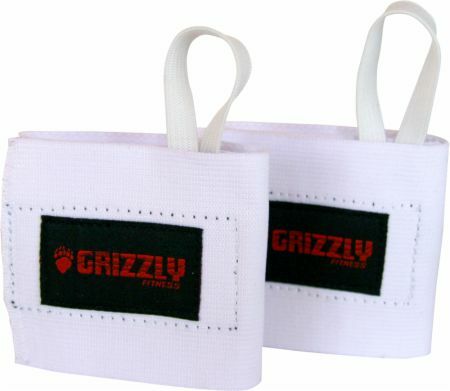 Cotton Elastic Wrist Wraps by Grizzly at Bodybuilding.com - Best Prices on Cotton Elastic Wrist Wraps! Fully Adjustable Cotton Wrist Wraps for Extra Support! 3" Wide Cotton Elastic Wrist Wraps with Velcro Closure for Added Support During Heavier Lifts! 3" wide Cotton Elastic Wrist Wraps with velcro® closure, adjustable sizing. Provides extra support, for heavier lifts. I was not very happy with this wrist wraps. The material and everything is great but they do not have enough length to tighten up. The velcro on them is placed to close making them only fit someone with very large wrists. I tend to not leave reviews but I was so upset I had to come to complain. This is a terrible product. It is uncomfortable and the velcro does not extend long enough to even tighten the wrist. I do not have small wrists.